My grandmother and her sister, my great-aunt, both came to this country from the tiny Greek island of Tenedos (now called Bozcaada, which is part of Turkey, and just so happens to be on the New York Times list of 52 places to see in 2017! I hope to make it in 2018.) They were in their late teens when they immigrated to the United States on their own, bringing with them traditions from their island and a desire to build a life in America. I grew up calling them both “Yia Yia”. They shared a duplex in Albany NY, so naturally one was “Yia Yia Upstairs” and the other, “Yia Yia Downstairs”. We had rich Greek food traditions around holidays and family events. Growing up we had cookies like koulourakia, Easter cookies shaped into little twists and sprinkled with sesame seeds – we ate them year round, and Kourabiethes, crescent shaped shortbread cookies doused in powdered sugar and studded with a clove. These were not my favorite but they were ubiquitous and popped up at every family gathering. One thing I never saw, but was told about countless times, was how the Yia Yia’s used to make their own phyllo dough. Kneading mountains of dough on a tiny kitchen table top, they rolled it out into thin sheets using a long, thin broom handle, and then spread the phyllo sheets out on the bed lined with clean cotton sheets. 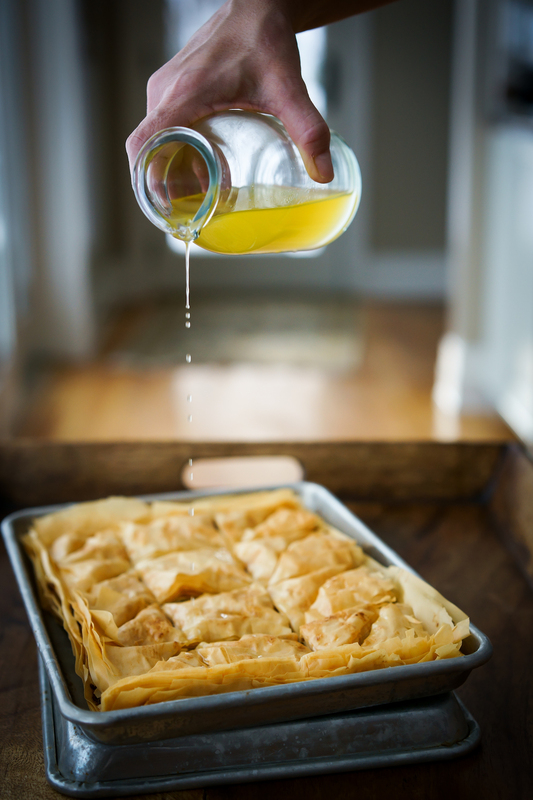 From there the phyllo went into the making of spanakopita, baklava or galaktaboureko. 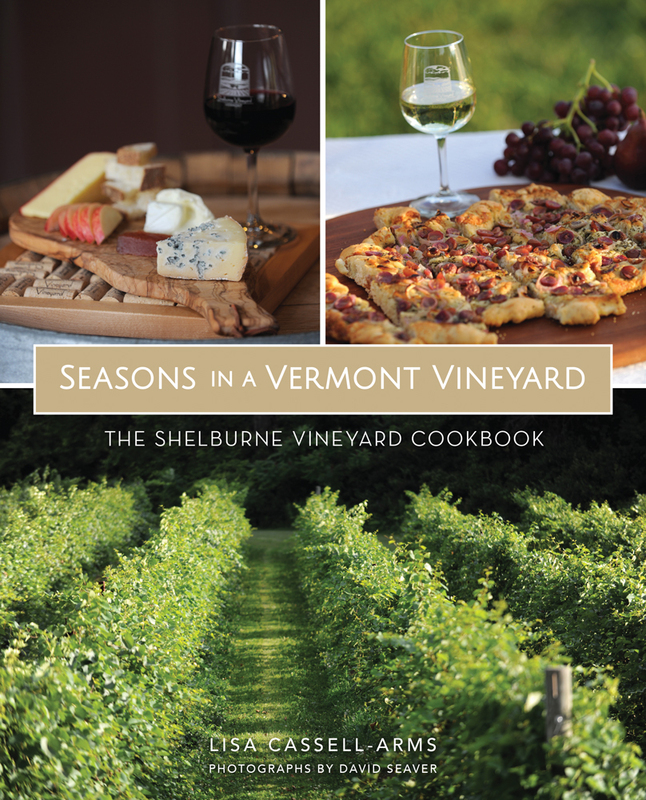 Such has been my inspiration during the long, bitter cold spell we’ve endured this winter here in Vermont. The lower the temperature dips, the more I retreat to the kitchen to cook and bake. Survival instinct? I don’t know, but I figure if the Yia Yias could make phyllo on a regular basis, surely I could learn to make it too! Online you can find a couple of different techniques to roll out the dough, but I used the technique that sounded most like the one that the Yia Yias employed. Using a long, un-tapered rolling pin, I rolled the dough into a thin rectangle-ish shape, rolling the dough all the way around the pin and then rolling back and forth quickly, while pressing continually outward with my hands. It’s a process for sure (and I certainly can’t imagine making it weekly like they did), but there’s something therapeutic (and even fun!) about making it yourself. Home made phyllo is a very different animal from the flaky store bought product. Both are great in their own way. The home made variety is a bit thicker and sturdier- not quite as flaky, but it has a definite crunch and a great, robust flavor. Make the syrup first so it can cool while the baklava bakes. Combine all the syrup ingredients in a small saucepan and bring to a boil. Reduce heat and simmer for a few minutes. Remove from heat and allow to cool. When cool, strain into clean measuring cup with a spout on it. 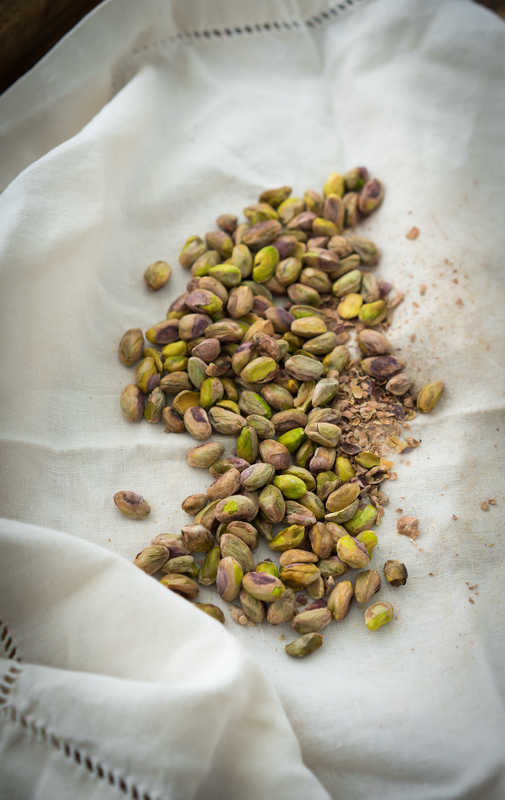 In a bowl, combine the pistachios, sugar, coconut, and zest. Set aside. Melt the stick of butter in a small pan. 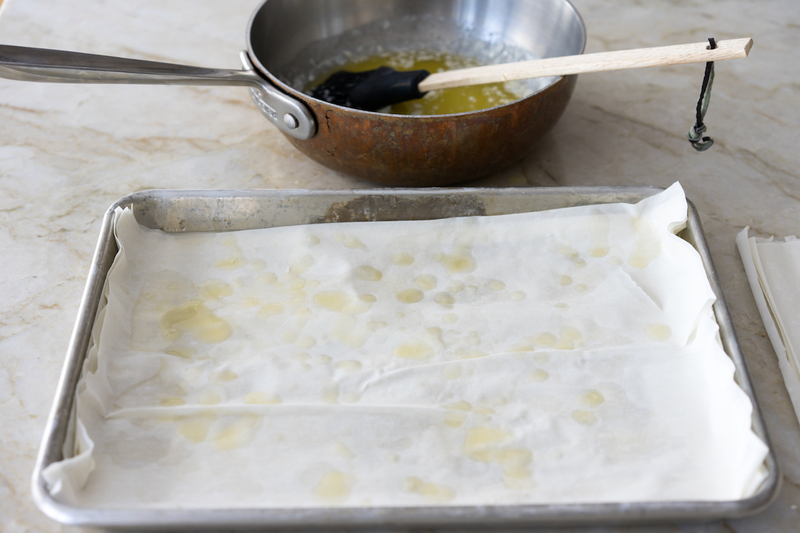 Using a pastry brush, sprinkle a bit of the butter onto the sheet pan. Lay the first sheet of phyllo on and sprinkle with a bit more butter. 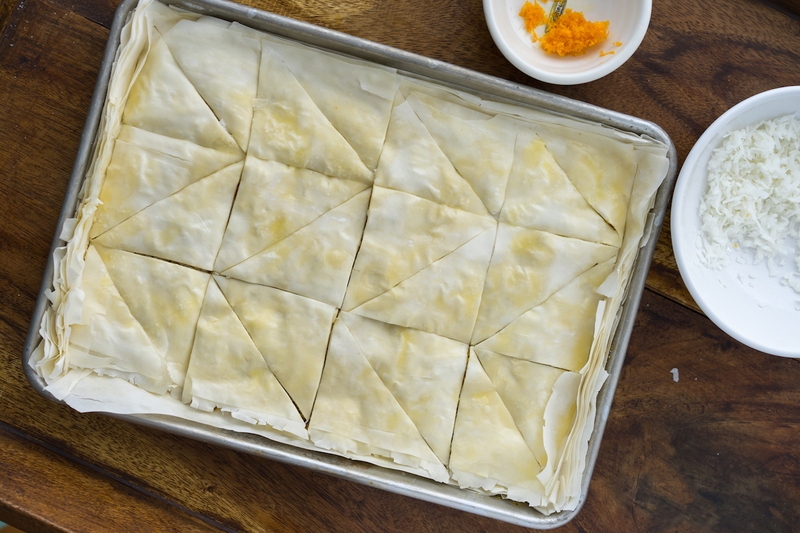 Continue layering until you’ve used 8 sheets of phyllo dough, sprinkling butter in between each sheet. 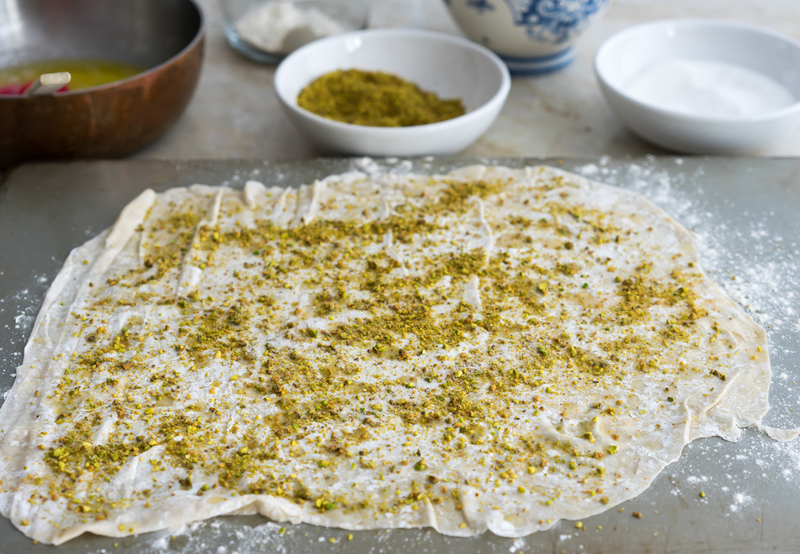 After the eighth sheet, sprinkle once again with butter and spread about a third of the pistachio filling mixture evenly over the phyllo. Layer 3 more sheets of phyllo on top of filling, sprinkling butter in between each sheet. 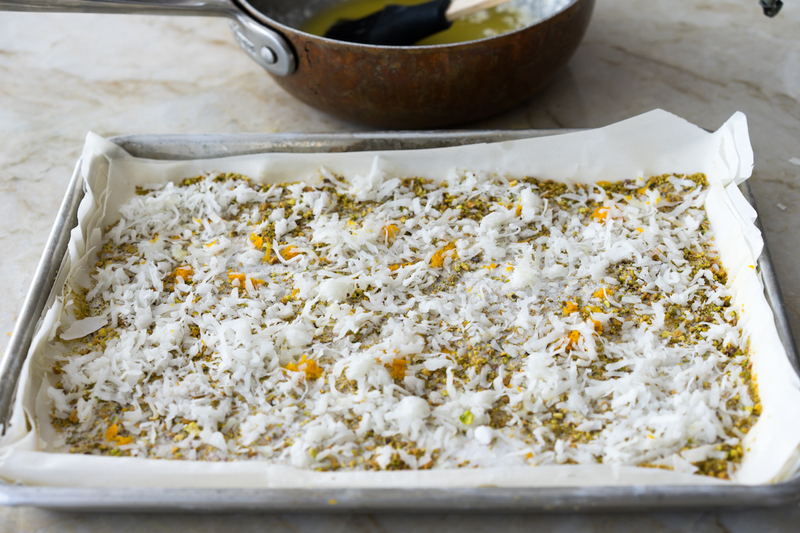 Spread half of the remaining pistachio mixture on top and then layer 3 more sheets of phyllo, sprinkling butter between each sheet. Spread remaining pistachio mixture on, then layer about 8 more sheets of phyllo on top, sprinkling with butter between each sheet. 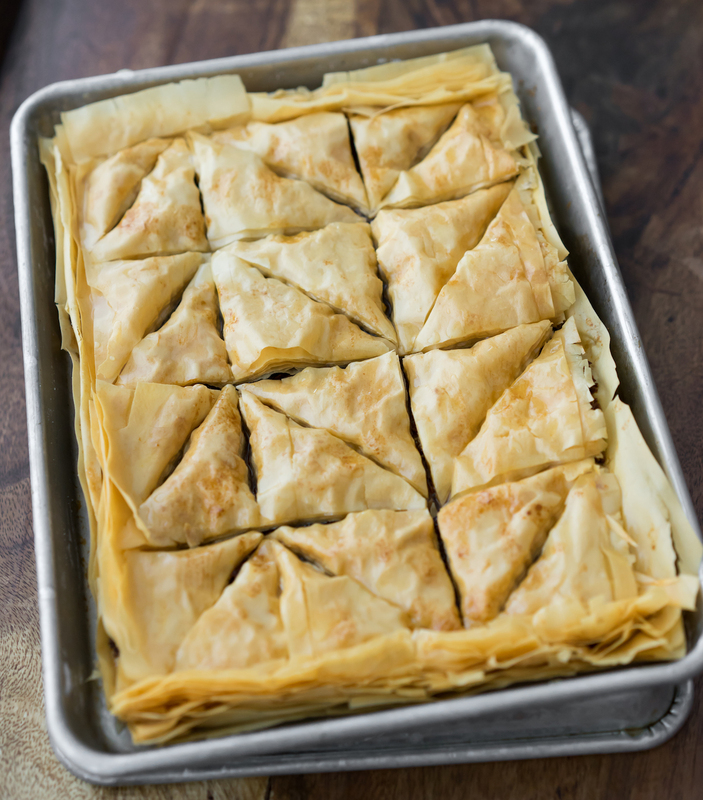 Sprinkle some butter on the very top layer and using a sharp knife, score the baklava into diamond shapes. 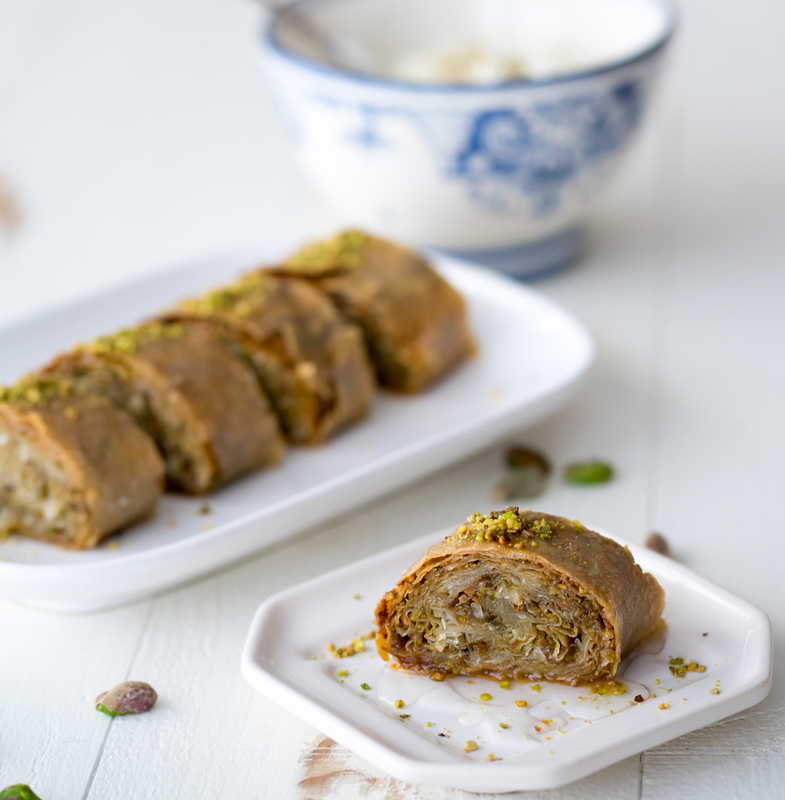 Bake the baklava for approximately 55 minutes to an hour, checking on it at about 45 minutes. It should be golden brown and flaky. 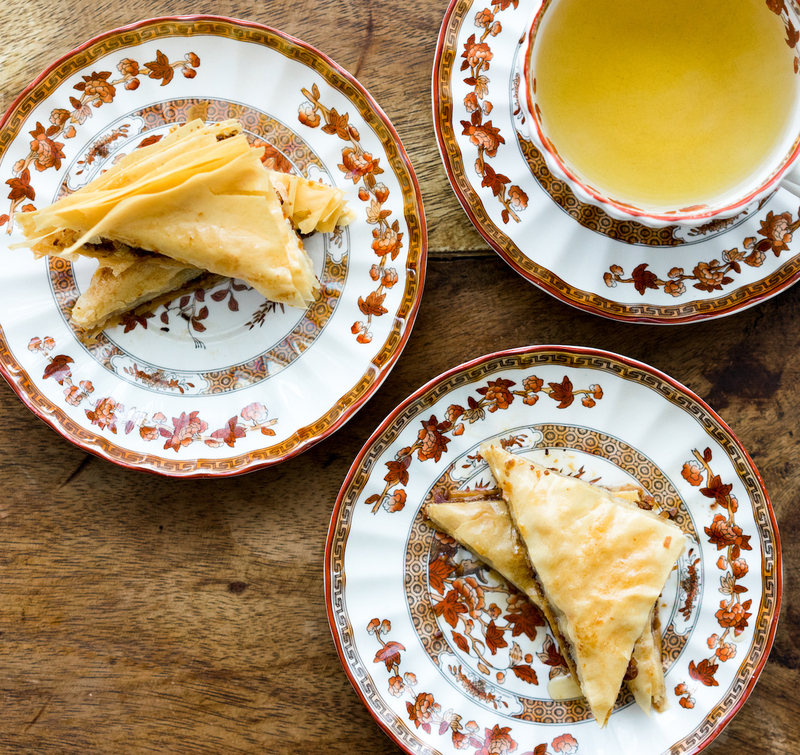 As soon as the baklava comes out of the oven, pour the cooled syrup all over the top and allow it to soak in as it cools. Cut and serve with vanilla or coconut ice cream.